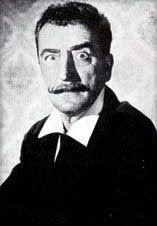 Ah, Mario Bava. Haven't watched too many of his films, but the ones I've seen I've liked. They might be a tad dated, but they drip and ooze atmosphere. My brother kindly purchased me the Mario Bava box set volume 1, and I've been working through each of the five films. Mask of Satan has always been a favourite of mine, and though the music and romantic sub-plot are horribly cheesy, there are moments and images that linger in the mind. Kill, Baby, Kill is equally impressive in atmosphere. A curse on a village. A spooky kid. Graveyards. Lots of fog and mist. Characters trapped in space and time. What's there not to like? Okay, the acting is a tad naff, but it's gorgeous all the same. Black Sabbath starring Boris Karloff contains three stories. The first, The Telephone, builds up suspense, but the pay-off is disappointing, and it's an underwhelming opener. Much better is the second segment, where once again Bava creates a palpable sense of dread and menace as villagers are menaced by vampires. Best of the three is A Drop of Water - creepy, with startling images. The giallo The Girl Who Knew Too Much wasn't bad, perhaps not my favourite, but again Bava conjures up some startling images which makes it just about worth it. Next... Bava's viking epic!! I'm pretty sure Mum and Dad got you that box set, you know. Though I cant be sure. Glad you like it though. I've always thought Mask of Satan is the best Hammer film Hammer never made. I'll always have a soft spot for Mask of Satan. Just for the beginning more than anything. Recently rewatched Black Sabbath and have to say the Boris Karloff/vampire segment is my favourite. There are some startling images - he was a huge influence on Dario Argento.